Some small or larger businesses are reluctant invest considerable sums of money in such equipment, unless they are cash rich, are unwilling to consider the interest incurred when paying for such equipment, or have considerable sums of retained profit to dip into. Here is a look at the benefits and pitfalls of choosing to buy, lease or rent photocopiers. In board terms, there are two different ways to lease a photocopier. Different businesses offer different terms and conditions. Anyone considering leasing a photocopier should gain a thorough understanding of the terms and conditions. Some businesses that offer leasing option offer less than favourable terms and conditions. Make sure that you read the fine print. However, leasing a printer can be more cost-effective as businesses don’t have to worry about paying the expense upfront. 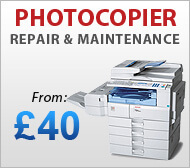 In simple terms, photocopier lease rental involves paying for a photocopier over a pre-determined period of time. The contract usually lasts for between two and five years. One of the more common features of photocopier rentals leases is that they will have minimum lease duration. If you decide that you’d like to end the contract, you will have to pay the remaining increments. It’s additionally advised that you understand that throughout the leasing process, the leasing company owns the photocopier. After the lease expires the equipment is generally offered to the manufacturer for a set fee. Many consumers tend to believe that after paying thousands of pounds over set period of time, only to believe that they’ll own the photocopier. This is not true. The benefits of rental lease is that you won’t need to pay a one-off payment and you may well be entitled to an upgrade to a newer model FOC, but you won’t own the photocopier after the lease has expired. A lease purchase agreement works in much the same way as a rental lease. Consumers are treated to lower monthly or quarterly payments over a fixed period of time, however once the lease has expired, consumers will own the photocopier. Consumers will need to pay a settlement amount if you wish to cancel the contract. This will include interest. As with any form of leasing, consumers are advised to always read the fine print. Those that have designs on using a photocopier for a short period of time should opt for rental. The only way that you’ll own the machine is if agree a final fee with a supplier. Rental contracts are offered for diverse lengths, from a few weeks to months. These are the three options open to consumers that are considering renting or purchasing a photocopier. Consumers are advised to take some time to consider which option is best-suited to them. By analysing the different options, you’re sure to identify which option is most appropriate for your usage.